Jason Yates: did i stutter did i ever. 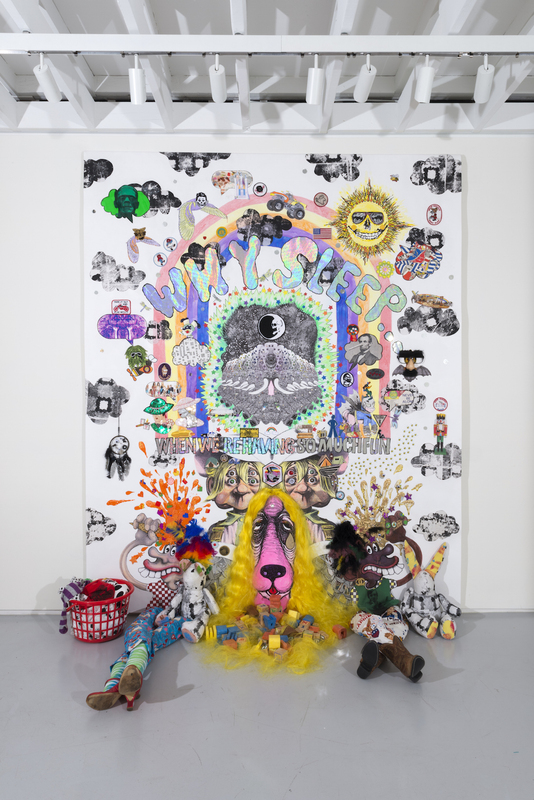 Jason Yates is preternaturally disposed to emulate, extrapolate and thoroughly and passionately investigate anything that relates to pop culture, therein creating his newest foray into the simultaneous realms of sculpture, paintings, installation and collage at C. Nichols Projects in Venice. Some might think this a tall order, but Yates is certainly up to the task. At the core of this work is a fervent and unstoppable curiosity about our culture, about how people interact (or don’t in most cases), but most of all about how art can begin to address these ideas conspicuously and without judgment.